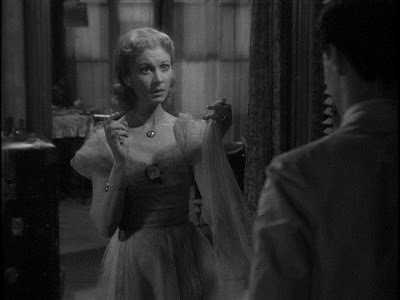 I stayed up late and watched A Streetcar Named Desire on AMC. I love AMC -- great old movies, and they don't plaster a big network logo on the screen. And what a movie. This version of the Pulitzer-prize winning Tennessee Williams play was filmed in black and white in 1951 by director Eli Kazan. It has Kim Hunter as Stella, Marlon Brando as her husband Stanley, Karl Malden as the gentleman caller Mitch, and the amazing Vivian Leigh as Blanche Dubois, Stella's sister. Kim Hunter, Karl Malden and Vivian Leigh all won Oscars. 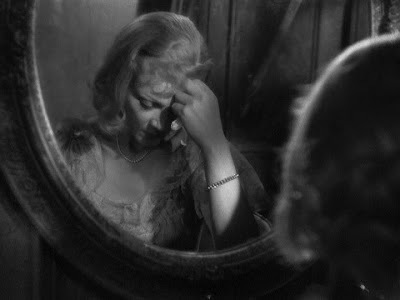 You know the story: Blanche Dubois, living in her own grandiose imagination, shows up at the home of her sister and brother-in-law with a questionable past, and no where left to live. In her arrogance, she is treated brutally by Stanley. She has one last chance to marry with Mitch, but it slips away before her very eyes, and you can see her teetering and struggling before she sinks fragiley and irretrievably into despair and madness. She speaks of a grand life and an elegant history, but it doesn't match her reality. "I don't want reality, I want magic," she says. It turns out that she was promiscuous, or a prostitute, in the past. "Yes, I've had my meetings with strangers." At the end of the downward slide when the doctor arrives to take her to a mental institution, she longingly utters the classic line, "I've always depended on the kindness of strangers." She is a character who tries to make herself into something beautiful and refined but in the end she is beaten down by a cruel world. It's a mesmerizing and heartbreaking performance. The language is gorgeous, it's like music. I could listen to it all night. The black and white photography suits the mood beautifully. What a great, great talent Tennessee Williams was. But it did not end well for him. He suffered from alcohol and drug abuse, and I remember when he died in a hotel room on Lexington Avenue in 1983, choking on a bottle cap. He had a boy living with him who did not wake up to save him. Vivian Leigh, who was English, launched into stardom when she won the role of Scarlett O'Hara in Gone With the Wind which she is spectacular in. She was married to Laurence Olivier -- what a handsome couple that must have been. But Vivian Leigh suffered too, from manic depression and bipolar disorder. She no doubt understood Blanche's frailty. Olivier struggled to help her, but in the end they were divorced. Why do great artists so often have to suffer? It seems like an unfair burden. But Vivien Leigh and Tennessee Williams made beautiful music together in A Streetcar Named Desire, preserved forever on film. so nice to see your message! how are you? sounds like things are going well for you - love your blog too - chic.